Lincoln MKT debuted in 2010 as a full-sized luxury crossover. Only the Lincoln Navigator is larger in the brand’s model lineup. Still in its first generation the MKT has received only one minor exterior refresh. A new grille and bumper were added in 2013. Although dubbed a crossover the seven-seater looks more like a giant wagon. It shares the same platform as the boxy Ford Flex. Both models are unique as there are no other brands that offer such a large, wagon-like style. The daring design of the MKT gets a lot of stares on the road. It is a relatively large vehicle with a monstrous rear end that either scares or intrigues onlookers. Either way, it’s hard not to stare at the damn thing. Rumour has it that the MKT, along with the Flex will be discontinued to make room for an Aviator comeback. 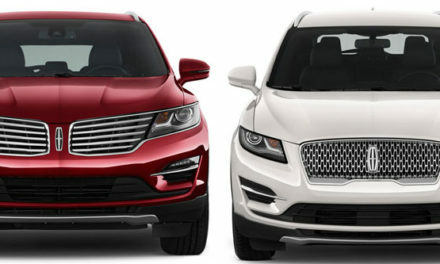 Although the name isn’t confirmed Lincoln officials did say two new models will be added by 2020. MKT sales aren’t stellar so the brand may be trying to replace the crossover with better, more appealing options. If the MKT is discontinued while still in its first generation it will qualify as our ‘One Hit Wonder‘ vehicle and will be placed in our archives forever.